Before reading this, fling open your window, fill your lungs with air and bellow 'Yedikule!' three times very fast. For anyone in earshot who ever called Istanbul home, it will bring a tear to the eye. Now sit down and brace yourself. This is yet another sad bit of news. A Facebook message has just arrived from Alexander Sapov, a PhD student at Harvard and an expert in Ottoman agricultural practices. 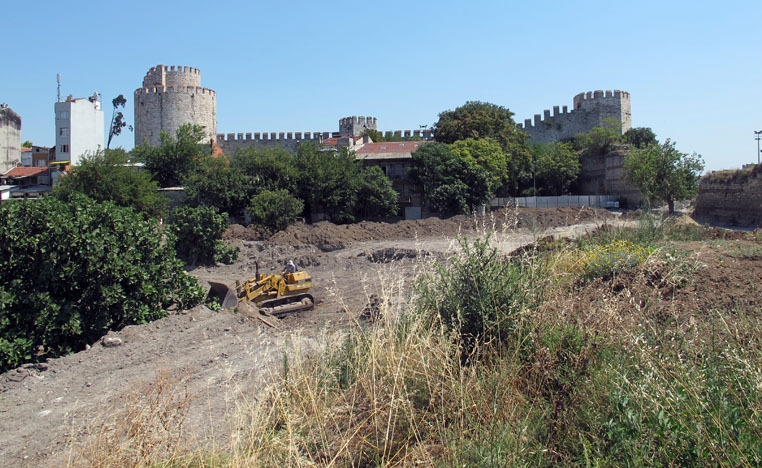 The Fatih Municipality has ordered the destruction of one of last bostans (market gardens) inside Istanbul's city walls. The land, acquired by the Municipality in 2010, stands in the shadow of the Byzantine/Ottoman fortress of Yedikule, in one of the Old City's most historically important districts. 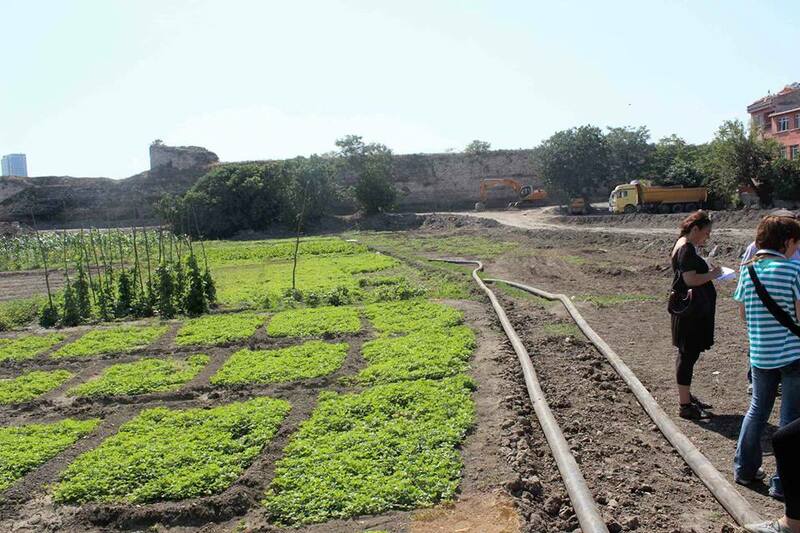 Close to the point where the Theodosian Land Walls meet the sea walls on the Sea of Marmara, these gardens are known as the home of an exquisite cos lettuce, or marul in Turkish (Lactuca sativa L. var. longifolia) – as a local gardener says, if you want to sell marul in Turkey, you call it Yedikule. It is also an area of extraordinary archaeological importance. Soon it will all be gone. In disbelief that such lunacy was possible, I went along to see if it could really be so. And sure enough the romantic, millennia-old vegetable gardens are being filled with truckload after truckload of rubble and levelled. The aim, apparently, is to please the owners of three new blocks of flats built by and belonging to TOKİ, the prime minister's building programme. Thousands of years of history had already been destroyed by a single bulldozer in just two days, and Sapov pointed out the damage inflicted on the ancient walls by the bulldozer – even the most skilled operator could hardly be expected to leave 1500-year old masonry unharmed. 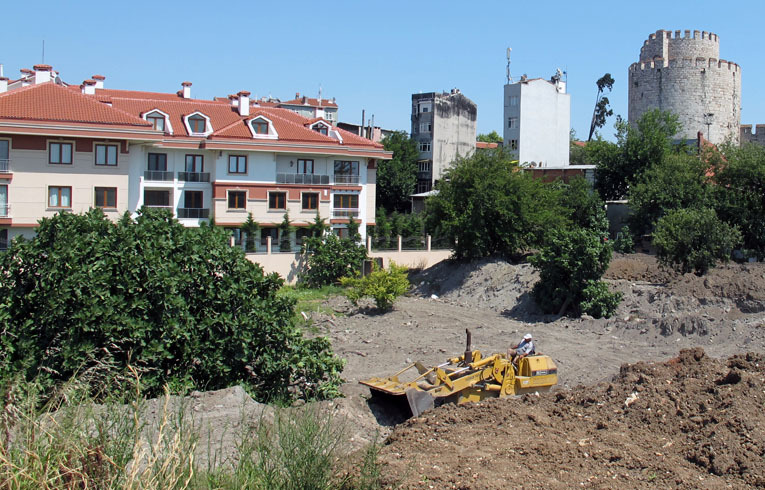 The use of bulldozers at all in a technically historic protected zone (sit alanı) is completely illegal. Another sad blow for those who love this city. While we were there, the CHP MP Melda Onur accompanied by Sapov could be seen stepping past a bed of mint as she inspected the damage. An urgent phone call was put through to the Fatih Municipality, asking the mayor to reconsider. Promises were issued, but in less than an hour five more truckloads of rubble had arrived and there was no sign of a let-up. Conservationists fear that all the bostans outside the walls are now equally at risk. City councils like to see their greens on supermarket shelves. 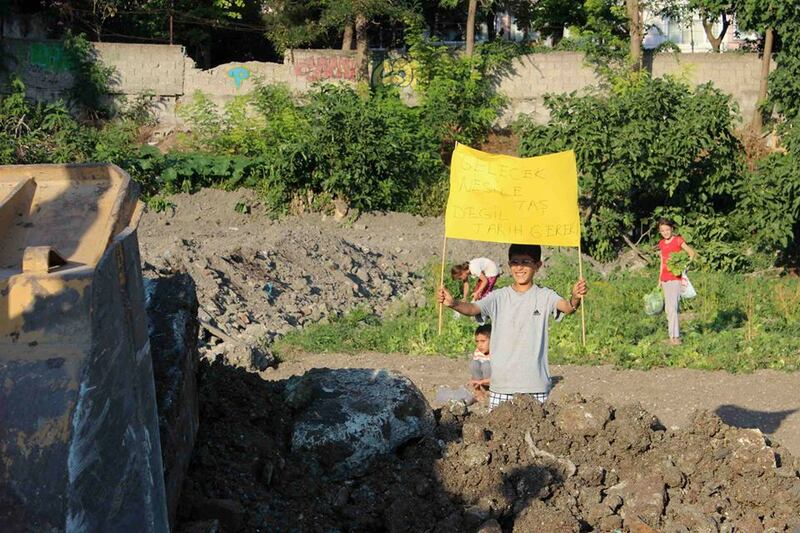 However, a project to create a teaching vegetable garden for school children has apparently been on the Fatih Mayor's wish-list. Onur and her colleagues in the council are hoping against hope that he might be persuaded to turn this garden into just that. 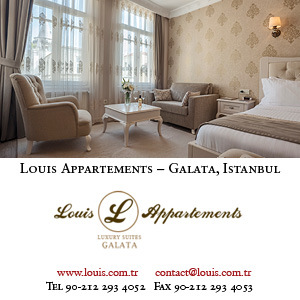 Yedikule Konakları is a new development built and owned by TOKİ. Vegetables, say TOKİ, are lowering the real estate value of the flats – at least that's the story. They particularly hate the dip in the ground, which apparently spoils the view, so they insist that the municipality heighten the level of the ground by around five metres and make it absolutely flat. Quite how the PM's office got planning permission for TOKİ to build blocks of flats so close to the walls is also highly debatable, and no doubt under a future government questions will be asked. Rubble is useless for growing things on, so more good earth will have to be trucked in from somewhere as a top layer. No one has thought to point out that the original soil is extremely fertile (hence the gorgeous mint, parsley and chard now growing there), or that unflat gardens are easier to make interesting than flat ones. Nor that this is an area rich in historical significance, a theme so dear to the heart of Istanbul's best-loved poet, Yahya Kemal, who adored places like this – the poor man will be spinning in his grave. Can any garden be more lovely than a perfectly maintained orchard? Especially a garden so steeped in history. Ever since a great defensive system was constructed acress the neck of land 'between the two arms of the sea' (Procopius) in the fifth century, the Theodosian Land Walls have played a key part in the life, welfare and sustenance of the city. As the Istanbul-based Italian Byzantinist Alessandra Ricci explains in a paper for a symposium at the Koç Research Institute, the Theodosian edict of 422 specifically states that the lower floors of the inner wall towers were to be set aside for use by 'landowners, who could store in them agricultural tools and produce'. A Byzantine text known as the Geoponika, with sections composed already in the 6th century provides information on 'greens to be planted at different times of the year'. The surviving orchards, Ricci states, 'represent a rare testimony of intangible cultural heritage'. UNESCO's ruling on ICHs (Intangible Cultural Heritage) is a little ephemeral for the simple minds of the local council to grasp, but even yesterday there were dozens of tourists wandering around like mad dogs and Englishmen in the heat of the midday sun, attempting to make sense of the walls (there is a total absence of guidance or information). With sensitive management (ie by putting the 'doers', the council, together with the 'thinkers', the academics), this whole area, minutes from Istanbul's main international airport, would long ago have become a visitors' paradise rather than yet another ugly development. It would have combined cafés, restaurants, orchards, market gardens, seaside parks, leafy walks and even phaeton rides – in short it would have been one of the most wonderful, historic, eco-friendly, living open-air museums on this planet. Instead it is yet another cash cow. 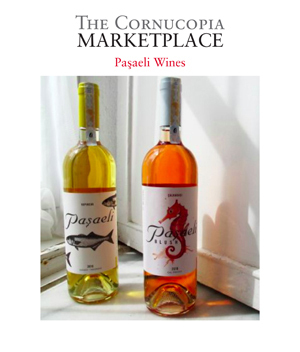 The land just outside the walls is known as the Kazlı Çeşme Park, the Goose Fountain Park. The Byzantine relief carving of the goose in question was left unguarded and has naturally been stolen, though a fountain remains. Now, ironically, yet another goose is about to be dispatched: the one that would have laid the golden egg. The dunderheads! 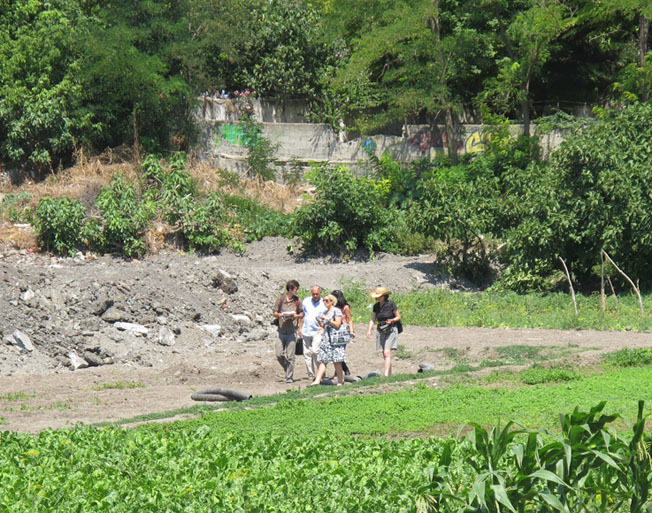 A nice day's work: four metres of soil and 1600 years of history erased by one man and his bulldozer in just 24 hours. This photograph was taken a few yards from the seven towers of the Ottoman fortress of Yedikule, which includes the processional entrance gate to the eastern capital of the Roman Empire, the Golden Gate. Archaeology has a crucial role to play in areas such as this, on Istanbul's historic peninsula. Precious pieces of Iznik pottery often turn up – and the city was the only one in late ancient times to build such an ambitious defensive system. The archaeological loss resulting from these 'improvements' is incalculable. Needless to say, the area is a designated historic zone, and therefore bulldozers are strictly prohibited. But there is no point crying over spilt milk. We only ask the authorities to stop and think very hard before doing any more irreparable damage, and then to sit down with the experts and hammer out a plan from which everyone can win. We know they don't want to go down in history as the vandals these very walls were meant to keep out. But they had better look sharp about it.